Tibetan Man in Ngaba Stages Self-Immolation Protest - Integration Through Media ....! 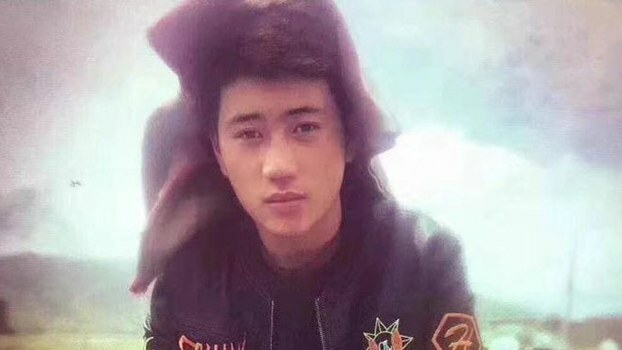 A young Tibetan man set himself on fire in Ngaba (in Chinese, Aba) county, a Tibetan region in the western Chinese province of Sichuan, on Dec. 8 in a protest aganst Chinese rule in Tibet, sources in the region said on Sunday. “A Tibetan youth self immolated on December 8 in the afternoon in Ngaba county, and it is true that it happened, but after the incident any discussion of this is very inconvenient” a source in Tibet told RFA’s Tibetan Service. “It has become an emergency issue and the details of the incident cannot be discussed at the moment. Everyone is aware of this self-immolation case in Ngaba, but no one has received a detailed account of the situation,” the source added. The source said the self-immolator was identified as DrukKho, from Soruma in Ngaba county, and was thought to be in his 20s. The Tibet Post International, an online news outlet based in Dharamsala, identified the man as Drugkho and said he set himself on fire while shouting slogans calling for the long life of the Dalai Lama and freedom in Tibet. “There has been an immediate lockdown in the area, with internet communications blocked, according to the same sources. Chinese police, government and religious affairs bureau officials in the region either said they were unaware of the situation or did not answer their phone,” said the Post. The Post and RFA’s source said it was not immediately clear whether the man was alive. “After the self-immolation, the Chinese armed police have beefed up security in Ngaba and it has become a tense situation,” said a source in the Tibetan exile community. Tibetans in Ngaba have “requested their friends and relatives abroad sever any communication contacts with them for the moment,” added the second source. Drugkho’s protest follows the Nov. 4 self-immolation of Dopo, also in Ngaba, and brings to 155 the number of self-immolations by Tibetans since the wave of fiery protests against Chinese rule of their homeland began in 2009. Ngaba’s main town and nearby Kirti monastery have been the scene of repeated self-immolations and other protests in recent years by monks, former monks, and other Tibetans calling for Tibetan freedom and the Dalai Lama’s return to Tibet. (DrukKho, a young Tibetan man who set himself on fire in Ngaba county, a Tibetan region in the western Chinese province of Sichuan, on Dec. 8, 2018, in undated photo.